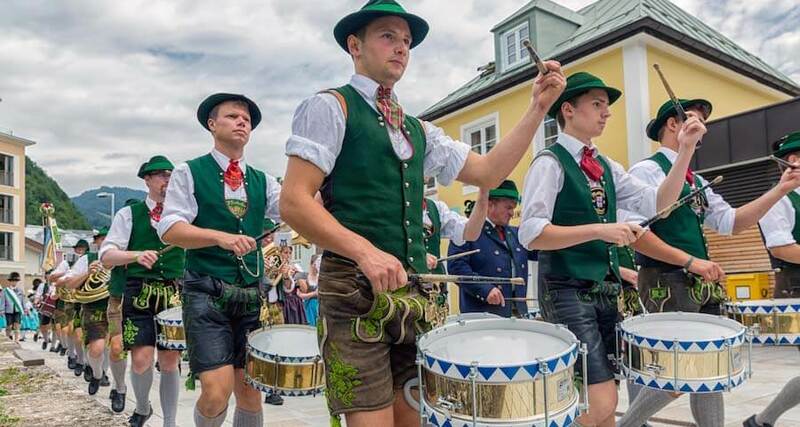 Home Blog What Cultural Traditions Is Germany Known for? What Cultural Traditions Is Germany Known for? Before you begin working your way to foreign language fluency, it helps to understand the culture behind the language you’re learning. After all, language exists to help a group of people express their ideas and beliefs. Germany is an old country with a rich history and culture. As you begin your German language program, gaining a strong grasp on this history, the values, and the etiquette will help you rapidly achieve success. In particular, Germany has a vast array of cultural traditions that illustrate its deep heritage. “Heimat” is the German word for “homeland,” and it is a very important concept in Germany, just as it is in some other European countries and the United States. A German’s “Heimat” isn’t the entire country of Germany, but the region where they were born and raised. The “Heimat” is the part of the country where their parents lived and where their closest friends live. In many cases, husbands and wives come from the same “Heimat”. German families tend to stay in a given region for generations, thus regions have each a developed distinctive character. “Rhineländer” (Rhinelanders), for example, are famous for their generosity. By contrast, the “Schwaben” (Swabians), who live around Stuttgart, have a reputation for being thrifty. “Bayern” (Bavarians) are said to be relaxed and mellow, while the citizens of Mecklenburg are said to be reserved. About two-thirds of the foremost trade fairs are held in Germany. The fairs are an important tradition in Germany and a major source of international trading of goods and services. Annual fairs or “Messen,” originated as a country market where crops and livestock were exchanged; traders from all over the country attended the events. The Leipzig Trade Fair is one of the annual fairs and its origin can be traced back almost a millennium. It is one of the most important trade fairs and a long-established meeting place for businessmen and politicians from every region of Germany. The “Messehalle” or trade fair hall is a hallmark of many of Germany’s significant cities and many international events are held there, such as the Frankfurt Book Fair and the Hanover CeBIT computer industry trade fair. Germans believe in keeping their public and personal lives separate, and that influences their customs regarding gifts. For example, employees usually do not exchange gifts at the office. German businesspeople will exchange small gifts to celebrate successfully completing a deal. Such gifts should not have a company logo on them. It is also inappropriate to bring a gift that suggests an intimate relationship, like jewelry or perfume. Such gifts should only be given to family or very close friends. It is considered good manners to bring a gift to your host or hostess when visiting. You should only give somebody wine if you are certain of the quality. Think twice before you give a German knives or scissors, for he or she may believe in an old superstition that doing so will curse the recipient. Fine chocolates are a safe gift, as are most flowers. Avoid red roses, which are for lovers, and chrysanthemums and lilies, which are associated with funerals. While Germans prefer an odd number of flowers in a bouquet, 13 is considered unlucky. When in doubt, consult a florist about the appropriate types of flowers and size of the bouquet. Germans traditionally unwrap flowers before giving them to the host and then leave the paper on the hall table. You can also just tie the bouquet together without wrapping it. Gifts should be wrapped neatly, so get that done in the store if you aren’t an adept wrapper. Always use biodegradable wrapping, for Germans have a keen sense of environmental responsibility. German architecture has been celebrated since 800 AD, in the form of mosaics and vivid depictions of small scale Carolingian style art. These bright, decorative displays were prominent in many areas of German churches and chapels, such as ceilings and windows. The Palatine Chapel, which is a part of what was the Palace of Aachen, is looked upon as an outstanding example of Carolingian architecture. The Ottonian was inspired by the Carolingian and is another important style that predated the Romanesque. Other noteworthy designs produced by Germany include Gothic, Renaissance, and Baroque. Gothic style was used in many cathedrals and churches in Munich and Cologne. St. Michael’s Church in Munich is a large Renaissance church whose style greatly influenced the early stage of Southern Germany’s Baroque architecture. The Expressionists’ Movement in the 19th century led to Realism which was prevalent in architecture until World War II. The German Association of Craftsmen (The Deutscher Werkbund), established in 1907, was an organization that included designers and architects; they became an important component in originating the Bauhaus School of Design and developing contemporary architecture. Walter Adolph Georg Gropius was the originator of the Bauhaus School, and is considered to be a pioneer of modernist architecture. During the time the Nazis ruled in Germany, many of the previous styles were abandoned and replaced with the essentials of neoclassicism. During World War II, much of Germany’s architectural heritage was destroyed. Reconstruction of cities was done in a simplified manner, not representations of the originals, but constructed in a functional, modernist style. Some cities are also using the new classical architecture, which continues the practice of classical and traditional architecture.